The tomatoes are now in the cool greenhouse to continue growth and harden-off before transplanting to 4” pots. A couple of days in the high 80’s and my garden (and this gardener) are wilting in the sun! Not this bad, but my sugar snap peas are complaining, and the San Marzano tomatoes that are waiting for the space currently occupied by the sugar snap peas are complaining and my tomatoes in Walls of Water have outgrown their protection, which they no longer need. Gardener, get to work! 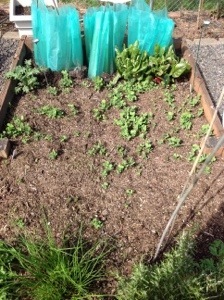 I am not happy with the spotty germination of my peas as seen in the second photo. Cascadian at the far end look ok but the near area has Sugar Daddy and less than 50%. 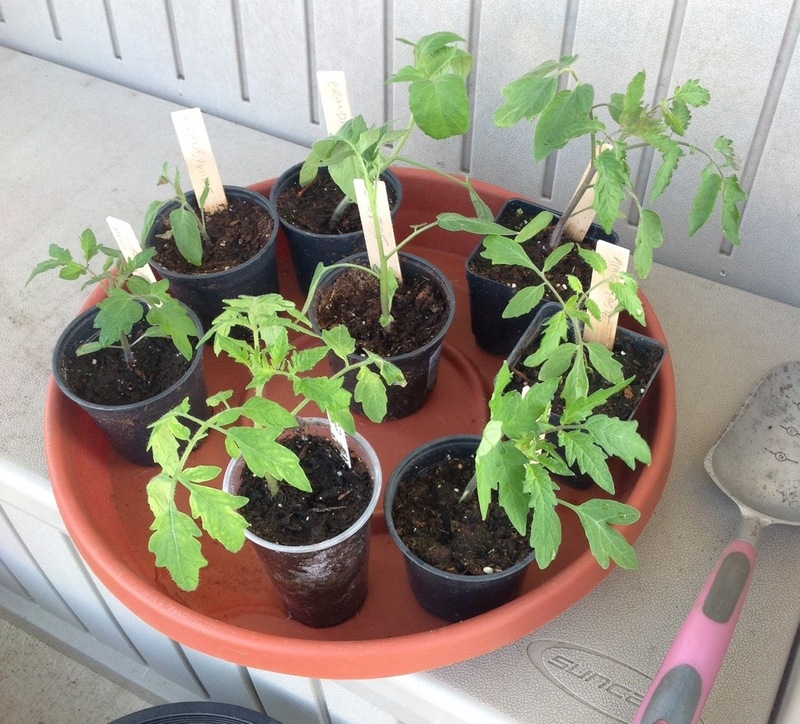 February 18 th I started the first tomatoes from seeds. I purchased them fromTerritorial Seeds and @GardenHoard. I planted a bunch of seeds because the local garden club wanted some plants donated for their sale in April. Sweet Million, Glacier, Stupice and Pink Brandywine were started by seed and Muskovich was purchased at that Garden Club sale. Here is a tiny part of the harvest. 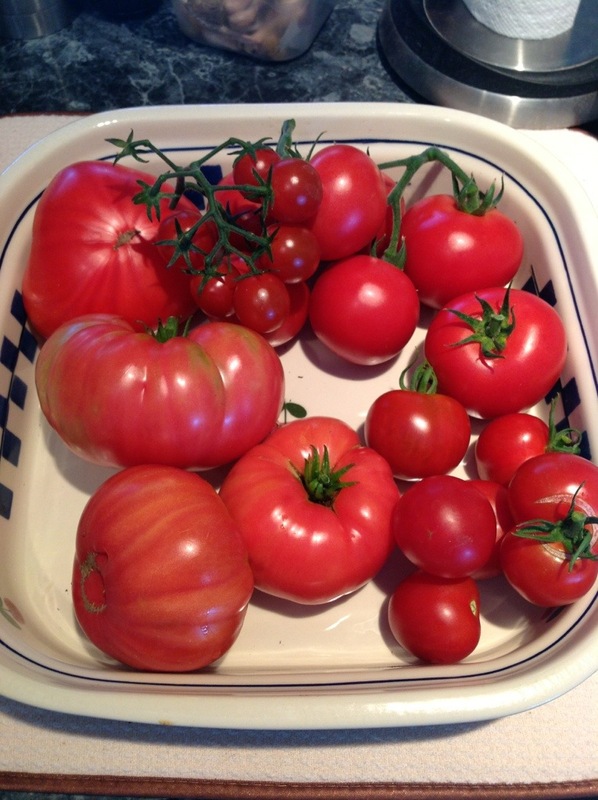 I have made sauce three times, salsa once, eaten many cherry tomatoes in salads an still have them ripening! What a great harvest from five plants. Next year I want to add a paste tomato. Any recommendations?